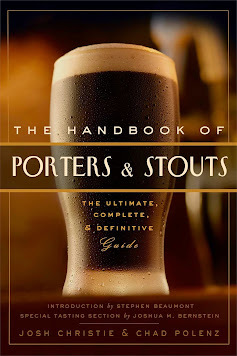 NOTE: This is my 2011 text review of a 2011 edition, but my opinion of the beer remains the same. I split a 22oz bomber with a friend. We each poured it into tulip glasses. Appearance: Midnight black color, completely opaque with no carbonation visible. Forms a good-sized brown, frothy head which laces and retains very well for such a big beer. Smell: Potent nose of whiskey, sour grape, black licorice and roasted malt. Sweet, oaky, vanilla qualities with a hint of smokiness. Extremely inviting. Taste: Barrel-aged imperial stouts are all the rage these days, and for good reason: they’re delicious! Usually, these beers are aged in just one barrel for a year or more, but Firestone Walker Parabola is aged in multiple barrels, including spirits, wines, and previous beers. This creates for a very unique and equally complex palate. Of course, the base brew itself has a lot to do with it and you can tell they went out all on making an imperial stout of the highest quality. Parabola hits the tongue with a massive amount of pure taste. Red grape, black licorice and toffee and caramel syrups are the most prominent flavors up front. It’s sweet and rich, but in that authentic, all-natural way - nothing candy-like or artificial in the least. The second half transitions to more traditional stout qualities with deeply roasted malt and a strong bitterness to balance out the palate. On the finish comes a rush of wood, vanilla and more whiskey. The aftertaste, however, is remarkable clean. Not lingering bitterness, no cloying or sticky sweetness, either. Interestingly enough, there’s little to no chocolate or coffee flavors in this palate, and instead more vinous and licorice qualities. That’s probably the only thing keeping me from considering it the best beer ever, but my friend Jay seemed to prefer it the other way around. Mouthfeel: Full-bodied for sure, with a thick, soft, comfortable texture. Noticeable warmth and whiskey sweetness across the tongue and a warming affect in the throat. But no sticky, cloying aftertaste. Drinkability: This beer is pretty big at 12.5% ABV, but I’ve had smaller beers that felt and drank much more potent than Firestone Walker Parabola. The palate is amazing in that it’s so robust and yet not intimidating at all. It’s amazingly smooth, with a gentle presence of alcohol. A fantastic dessert beer, or something for a special occasion. Drinking an entire bottle alone would be challenging, though.